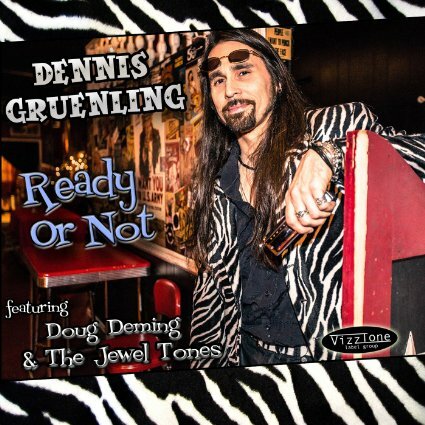 I just had the opportunity to review the newest release, Ready of Not, from Dennis Gruenling and it's a barn burner. Opening with hig energy blues rocker, Knockin' My Knees, Gruenling joins forces with Doug Demingon guitar, Andrew Gohman on bass and Michael Bran on drums for a blend of blues, rock n' roll and New Orleans jazz for a great opener. Bram's strait snare work along with Dave Keyes on liano really stand out on this track. On Missing Person, Slim Harpo's influence is strong with a super boogie reinforced by rim shots and Gruenling's harp work is hot. Another track with a New Orleans feel, Ready Or Not to me gets that classic R&B sound and Deming steps out with a real nice guitar solo. Simmer Down has a classic rock tom tom riff that sets the pace and Gruenling's harp work has a great vocal like quality. Very nice! Little Sugar is a pure rock n' roller with early roots. Deming takes center stage on this one with country flavored rock riffs. A solid rocker, one of the best tracks on the release. 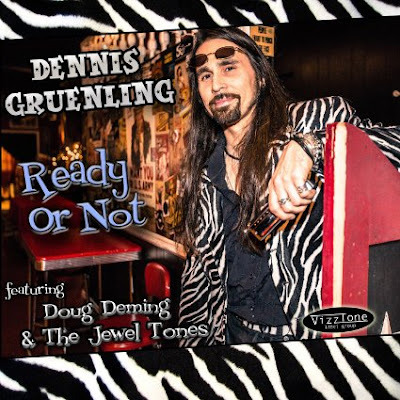 Swinging blues rocker, If You Wanna Rock, has a great groove and Gruenling delivers on vocal and his harp work really hits the target with backing vocals by Dave Gross and Michael Bram. Gruenling really lays out some great blues harp on Ready To Burn with basic blues rhythm under his vocals. Very nice! Instrumental, Rockin' With The Rev is a really hot track (can you hear me Stilladog) with Gruenling really cooking it. This is a great track and the band is hot and tight! Another rocker, Open The Door, this time with a Chuck Berry flavor, gets down and gritty with solid riffs from Deming and Keyes as well as a nice solo from Gruenling. Sizzling blues/jazz number, Think Twice, is smoking hot with Gruenling riffing out on harp followed by vocal lead. Deming plays a really nice stylized solo of his own followed by an extended solo by Gruenling. Excellent! Give Me Back My Heart has a real retro blues feel with Gruenling on lead vocal and with male backing vocals, hand clap percussion and stylized guitar soloing, topped off by Gruenling. Wrapping the release is Count Chromatic of course featuring Gruenling up front of chromatic harp but with really nice guitar riffs by Deming. This is a great track and a great closer.